This chapter focuses on the issues associated with the digital native student population and their disconnection with the natural world. This chapter also includes a description of a preservice teacher project aimed at using technology to encourage student connections with nature. 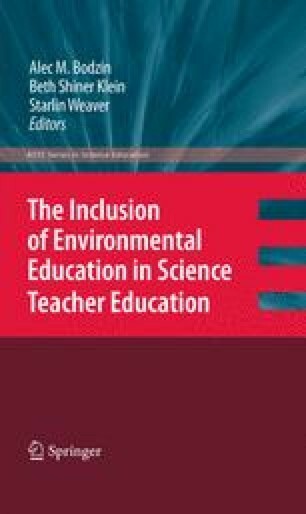 Additional background is presented on the issues of the digital native student, nature-deficit disorder, and barriers of preparing teachers to teach environmental education. Integration of learning experiences in outdoor settings and podcasting were used at both the elementary and secondary levels to explore one method for addressing these issues.